Want to see more of the Bella Rose paper? Join me on Stampin’ Addicts’ Parade of Papers blog hop on May 8th – 10th. I’ll be featuring some more amazing projects with this great paper, and 23 other amazing Stampin’ Up demonstrators will each be featuring one of the other packs of paper! So next weekend only, you will be able to see fabulous projects with every single designer series paper that Stampin’ Up offers! How cool is that? very original father’s day card. visiting from mojo monday blog. 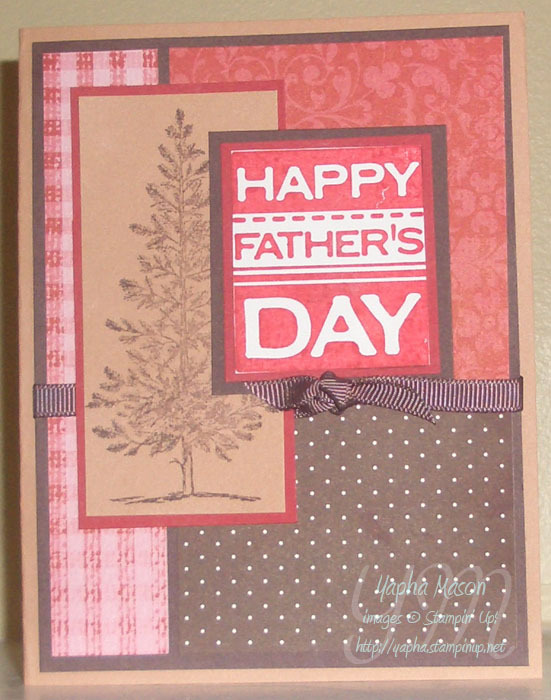 on May 7, 2009 at 7:12 am Terri E.
Fun fathers day card. I have to get going on those myself! Way to rock the mojo challenge this week.